We guarantee a good time as we all get to know each other and hopefully learn to serve our God, church family and community with love and humor. 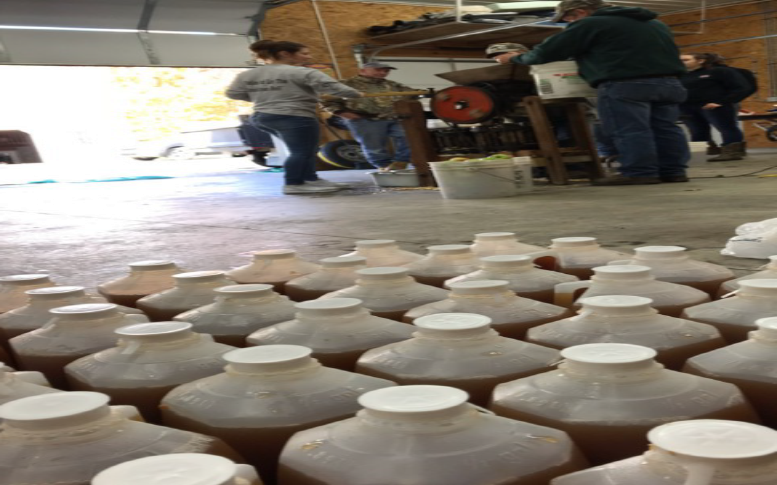 The Youth recently made apple cider at Bobby & Cindy Miller’s. 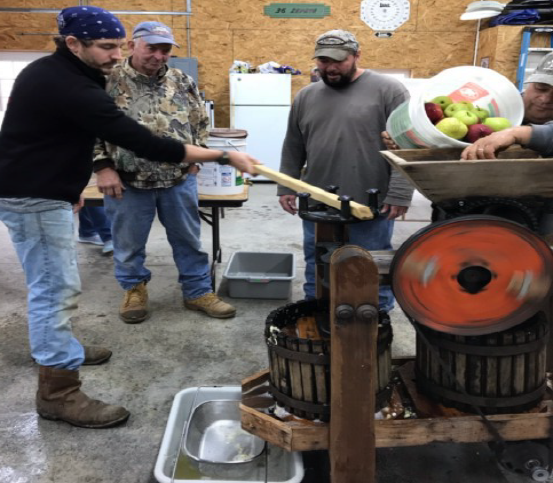 Approximately twenty bushels of cider apples were transformed into 90 half-gallon containers and were offered for sale after worship. Thank you to all who supported them by purchasing cider. Enjoy some of the photos of the day. Photos by Mindy Singo. 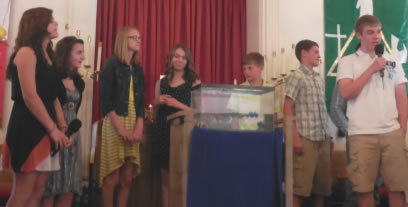 Wesley Chapel Youth were greeters and ushers and took part in the worship in other ways for Father’s Day. After the service, several youth read poems and scripture relating to fathers. The Youth’s traditional guessing game was to guess the correct number (or closest to it) of 22 shells in a Yeti tumbler. Todd Pritts guessed the exact amount of 625! The youth planned several games for the men, and they had to qualify to participate. Brandon Sechler (longest beard) and Blaine Walter (most pocket change) vied for pounding three nails into a 4x4 the fastest. Blaine won a Dough Girls Pizza certificate. Jake King (most pictures in his wallet) and Roger Hart (biggest belt buckle) had a face-off shuckin’ corn. Although Roger had never done it before, he scored the victory and sore fingers after! He won a gift bucket filled with items from Rob’s Rations. Bobby Miller (biggest shoe size) a n d Ry a n Se c h l e r (youngest father present– after Brandon who already participated) squared off to see who could thread a bolt the fastest. Ryan had some tricks up his sleeve and took the prize of liquid Deer Cane. Alan Jackson (longest pocket knife blade) and Bob Miller (widest handgirth) dueled with Nerf guns for target shooting. Targets were held out by the congregation, and after a few literal misfires, victory was determined and Bob won a flashlight. Last, but not least, Eldon Sechler (most children/grandchildren/great-grandchildren present @ 9) and Charlie Mitchell (thickest wallet) were challenged with diapering a cabbage patch doll the quickest and most correct way. Charlie found his “gift” and claimed the title of “ Fastest Diaper Changer” and a gift certificate for the Bedford Co-Op. All fathers received a candy bar on exiting the church. Thanks to all the Youth and their leaders for their great planning and organization. The Youth are doing a DVD/book study at their bi-monthly meetings using the “ Answers Bible Curriculum” curriculum. On Sunday, October 8th, the Youth will hold a soup sale after worship service. You will have the opportunity to enjoy various kinds of soup for your donation. An activity planned for October 14th is an indoor trampoline park in Monroeville. Youth will be departing from the church parking lot at 10:00 a.m. and returning around 4:00 p.m. Regular meetings in October are the 11th and the 25th from 6:00 - 8:00 p.m. The Wesley Chapel Youth Group now have their own web page!! 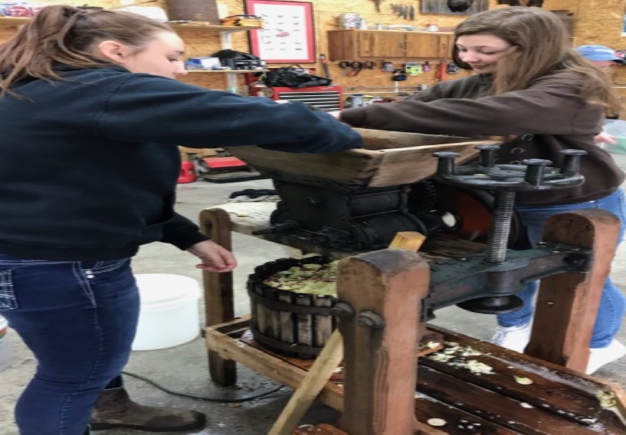 On the final weekend in January, the WCUMC youth group took an excursion to Camp Allegheny. 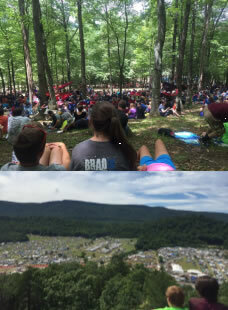 After a..."rocky start," everyone eventually made it to camp, and the campers had a great time at the cabin, picking their bunks and grilling hot dogs on the first night. The camp started each morning with a devotion, and then breakfast. 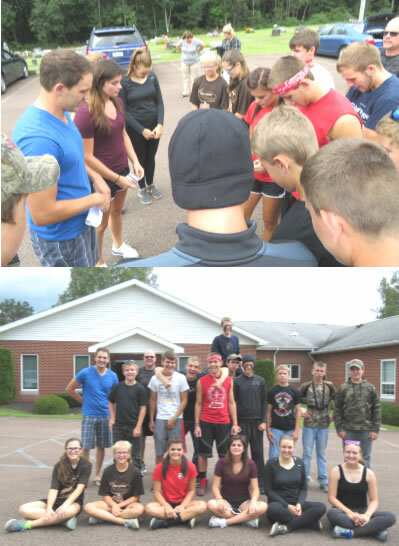 There were activities such as board games, laser tag, dodgeball, nine-square, and sled riding. 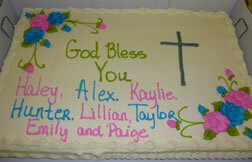 A showing of God's not Dead 2 also happened on Saturday night, and a very special birthday (Lillian Pletcher) was celebrated with cake and gobs provided by the camp for National Gob Day. A good time was had by all, and there are plans to return at some point in the future. At least eighteen varieties of soup were offered at the Youth soup sale last month. Soups such as vegetable, beef vegetable, potato noodle, potato, corn chowder, stuffed pepper, ham and bean, ham, potato and green beans,15 bean soup, chicken rice, chicken noodle, beef barley lentil, French onion, butternut squash, chili, creamy white chili, turkey chili and Zuppa Toscana were purchased after Sunday school. Approximately 150 quarts were sold. The Youth enjoyed a paintball event in Windber on August 14. Thanks to those who chaperoned. Because you cared, the youth could enjoy the experience. Under the direction of Cindy Miller, the Youth are teaching the younger children one Sunday a month this summer. Youth have been paired up with a younger student with a "one on one" Bible lesson. The outdoor atmosphere with games, songs and snacks help with the excitement of learning. The experience for the youth to mentor a little one will have lasting memories and benefits. Community service will also be credited to the youth. Thank you Cindy for organizing this. 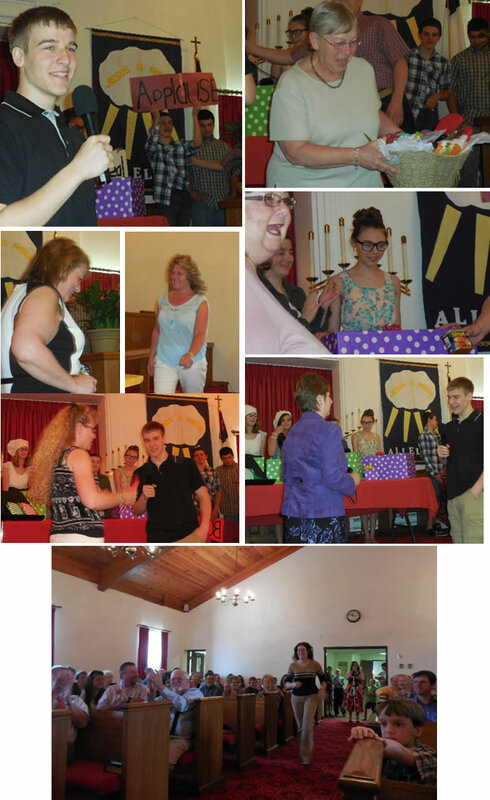 The youth held a pie auction on July 10, 2016before Sunday school. 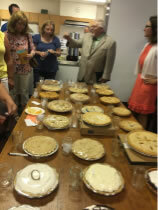 Twenty-five pies were donated by the fantastic Wesley Chapel members. Silent bids were offered and the pies were awarded to the highest bidder. More than $500 was raised with the highest bid of $110! The average price per pie was $17. Thanks to all for your help and participation. Our fantastic Youth Group at Wesley Chapel held a candy sale before Christmas and are happy to report that they profited over $1000.00 in sales. They would like to take this opportunity to thank the church and its support. The Youth are planning a paintball event at Seven Springs on August 15, from noon - 4:00 p.m. The cost of the event is $15 for Youth members. Family and friends (over age 12) are invited. Non-member cost is $31. If you have any questions about this, please contact Tyler Pritts. Reservations need to be made by August 12. 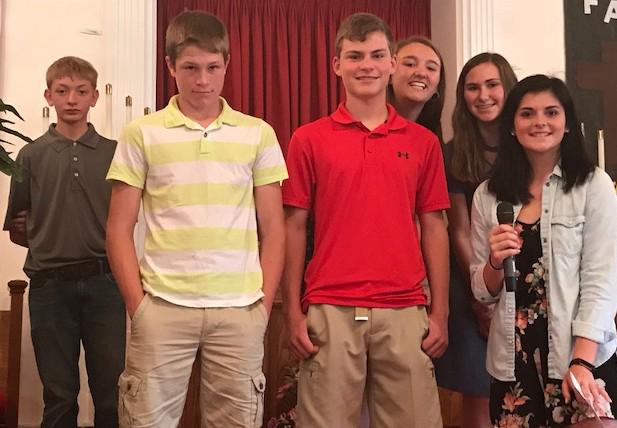 The regular Youth meeting will be held on August 29 from 7-10 p.m.
Our fantastic Youth Group at Wesley Chapel held a candy sale before Christmas and are happy to report that they profited over $1000.00 in sales. They would like to take this opportunity to thank the church and its members for supporting this fundraiser. 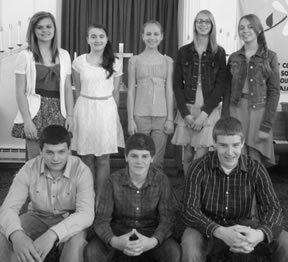 Over the year the Youth Group has doubled in number. 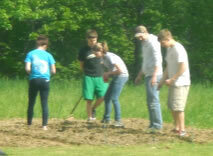 It was reported by Tyler Pritts, Youth leader, that they will be looking into more ways and ideas to raise funds. There are approximately eighteen youth currently. We also appreciate the leadership of Rich and Marsha Beahr who are involved with youth Sunday school. The youth will also be attending the snow tubing night with the church Agape group. The next meeting is scheduled for Friday, February 6, from 6:30-9:30 p.m. 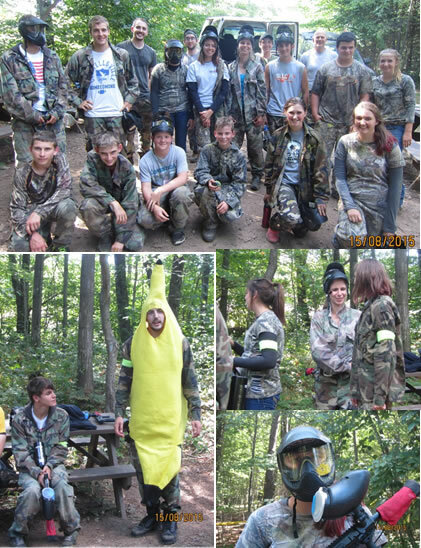 The Youth enjoyed a paintball event at Seven Springs on August 15. Thanks to Cindy Miller for sharing a few photos. The Youth Group had a Fishing For Father’s game show theme where contestants names were drawn from a tackle box for a chance to fish from an aquarium of water for prizes. 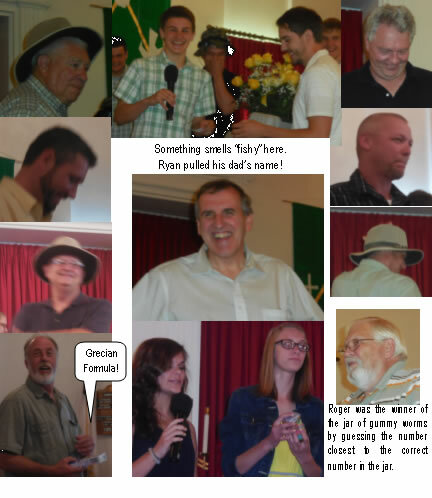 Donning a fishing hat and using a pole, the contestants vied for prizes of gifts cards, a ‘new car’, (a Matchbox car) ‘new (squirt) gun’ and Grecian Formula. Our winners were Ralph Pletcher, Jason Breegle, Dalton King, Bill Blair, Delbert Lichliter and Jeremy Bobish. Dave Henry won the new gun and Jaime Singo won the new car! Thanks Youth and leaders for your hard work and entertainment. 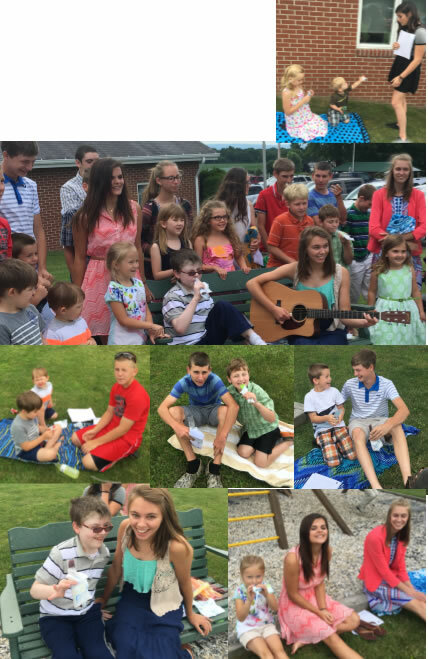 Kudos to the Youth group for the fantastic fun as they recognized the mothers by inviting them to “Come on down…” . Several women of the church got to play Let’s Make A Deal. The Youth would like to thank everyone who gave donations for our candy making. Special thanks to Dave and Linda for their help. Thank you to those who purchased candy and for all of your support of our youth. We will be attending the midnight bowling at Terrace Lanes in Somerset on Friday, Dec 6th from 9:30 - 11:00 p.m. If anyone is in need of transportation, please let Rich or Marsha know. The youth will be making Christmas candy on Saturday, Dec 14th from 10:00 a.m. - ? Candy will go on sale Sunday, Dec 15th . Everyone is invited to come. Below is a list of things needed. If you would like to make a donation, please see Rich or Marsha. There is one meeting scheduled for December, which is Wednesday, December 11th from 6-8 p.m. We will be preparing everything for candy making the following Saturday. 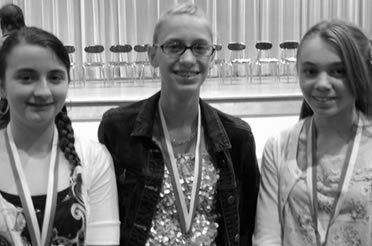 Emily, Kaylie, and Haley were all honored for placing in the top 5% of their class. 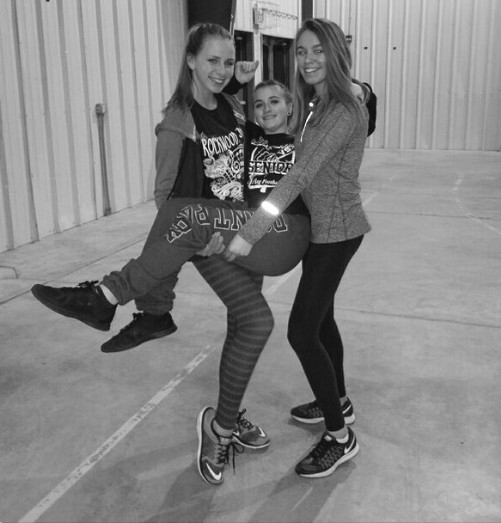 Emily and Kaylie are in seventh grade and Haley is in 8th grade. Haley also received this honor in the 7th grade. A HUGE THANK YOU to all of those who helped to plan and serve the mother's day breakfast and to our Youth for planning the special recognition of mothers after the worship service. Flowers were given to Lorie Skelton (for having the highest heeled shoes), Barb Stark (for having the longest labor), Darlene Stevanus (biggest baby at birth), Tara Pritts (youngest mom), Gail Minerd (longest member of WC), Candee Jackson, (producing a picture of her child the fastest) and Loretta Sechler and Cathie Lester (mother's day stories picked at random). The Youth Group continues to hold meetings every other Wednesday. We have an average of 7 youth that attend regularly. Future plans include hiking, bowling and snow tubing. We pray God’s blessings on them as they continue in their Christian walks.